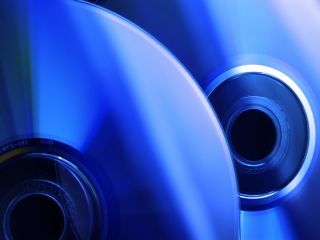 Blu-ray may be winning the format war, but the format itself is a bit of a mess - a constantly shifting sand of specifications that has left many critics to dub it a 'beta', not least its HD DVD toting rivals. For in the last 18 months we've see BD-Profile 1.0, BD-Profile 1.1, and now BD-Profile 2.0 aka BD-Live which has been demonstrated here at CES 2008. Is it any wonder potential buyers are sitting on the sidelines when you have this, and a format war to contend with? Time for a tidy-up. The first Blu-ray players to go on sale in 2006 used BD-Profile 1.0 - an interim standard that offered standard movie playback and little else. You could argue that anyone who launched a player at this time - along with anyone unlucky enough to buy one - jumped the gun by picking a player that wasn't fit for the mainstream. They were darn pricy too. BD-Profile 1.1 or Bonus View, by contrast, is a final specification and mandatory on all new Blu-ray players. It adds a limited range of interactive features like Picture in Picture (PiP), plus 256MB of persistent storage so movie makers can add novel bonus features that should help improve your enjoyment of the movie. The catch comes, of course, when you try to play a BD-Profile 1.1 movie on a BD-Profile 1.0 player - unless you're very lucky and you've been rewarded with a firmware update for being such an early adopter, you're stuck with plain old movie playback. Harumph. Now here comes BD-Profile 2.0 aka BD-Live. BD-Live includes all the features of BD Profile 1.1, but beefs up the persistent storage to 1GB. And it adds an internet connection so you can download additional content using suitable links in your Blu-ray movie's menu system. The Blu-ray Disc Association used its CES 2008 press conference to demo how this might work. Sony Pictures showed how you could copy a ringtone from the movie to your phone, and how you get access to extras like movie shorts, etc. 20th Century Fox went further by talking about a whole social networking site that enables owners of the same movie to chat to each other over the internet, and discuss individual scenes while the movie is playing. Sounds great. What's the catch? The catch is that BD-Profile 2.0 aka BD-Live is not a mandatory standard. It's up to Hollywood movie studios and hardware makers to decide whether to include such functionality or not - and upgrading your old Blu-ray player to take advantage of these features is all but impossible. You try adding an Ethernet connection and persistent storage retrospectively. In fact the only Blu-ray player you can buy today that can or will be able to do all these things is the Sony PlayStation 3 - it had the hardware required from the get-go. Firmware updates are all it needs. The irony of all this, given the way things are panning out, is that HD DVD had all of these features - like internet connections, persistent storage, high levels of interactivity - mandated from day one. And that must really stick in your craw if you're a member of the HD DVD Promotion Group this week. Unless, of course, you take the view that none of this really matters. You just want to sit down, sit back and watch a movie without constantly fiddling with the remote, faffing round with features you don't really need and actually enjoying the thrill of seeing the action on a big flat screen. That's how cinemas have survived every day for the last 100 years after all.